The NEW OE Electrics TUF-R25W has been developed for the future. TUF25W was perfect for your fast-paced life, but TUF-R25W offers the same powerful, compact and efficient power delivery with one fantastic advantage: it’s upgradeable! Without the need for an electrician, or even a handyman, when TUF-R Type A+C arrives, you can simply upgrade the module yourself, saving time, energy and money. The OE Electrics TUF25W (Twin USB Fast) charger, with its 5A max output and unmatched 90% efficiency, is now available in a unique on-site upgradeable/replaceable format. 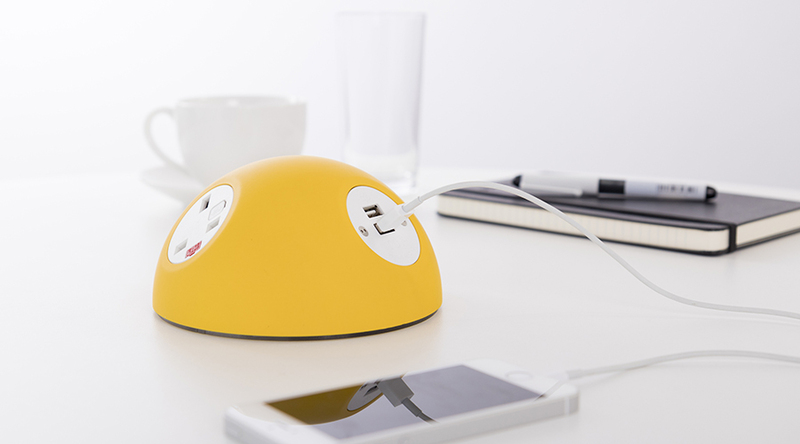 Developed for high use areas such as Hotels, airport lounges, trains, and schools/colleges, TUF-R25W charging sockets can be replaced on-site without even the need to disconnect the AC supply. Although our standard TUF25W features enhanced durability 5,000+ insertion USB connectors, inadvertent damage or vandalism of a USB connector is a risk that cannot be ignored by facility managers. TUF-R25W offers a cost-effective solution for the management of this risk by enabling quick on-site replacement of a damaged TUF socket rather than the removal of the complete power module for repair. Another invaluable feature of the TUF-R25W is that being replaceable, it will allow future upgradeability of your USB charging provision to the next generation type C USB PD charging solutions as these are developed by OE Electrics. Specifying TUF-R25W will help ensure end-user satisfaction and protect your investment in device charging provision.